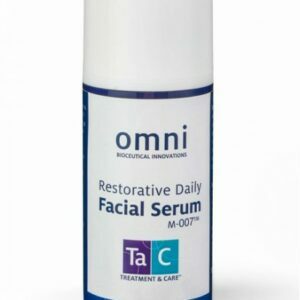 Backed by an extraordinary collaboration of scientists, forward-thinking physicians and labs, Omni Bioceutical Innovations produces the highest quality growth factors, peptides, and other proteins for use in skin and hair products. 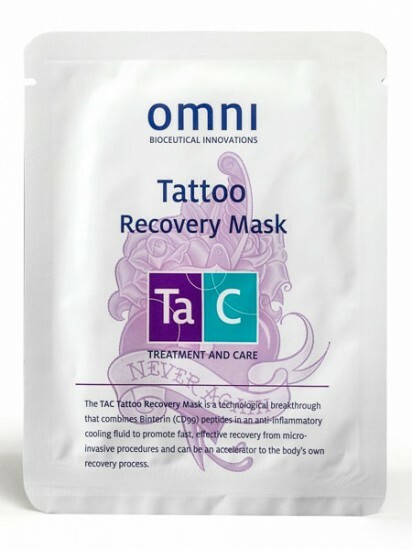 TaC Tattoo Recovery Mask is a technological breakthrough that combines Binterin (CD99) peptides in an antiinflammatory, cooling fluid. Best used post-laser tattoo removal or application, micro-blading, or cosmetic lip and eyeliner tattoo application. How to Use: Gently unfold mask and place cloth directly on effected area. Relax for 10-20 minutes with mask in place. Peel mask from skin and discard, no need to rinse. 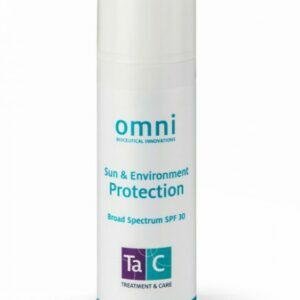 Allow any product remaining on the skin to absorb. 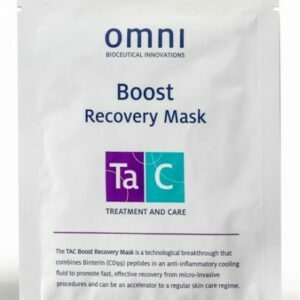 Additional masks can be used daily until desired result is achieved. 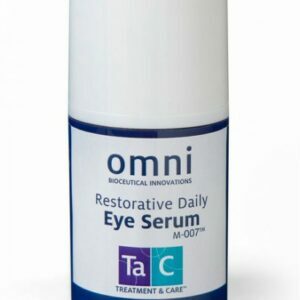 Use immediately after opening.